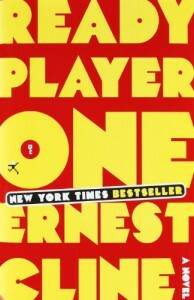 Wow…while Ready Player One was not without its faults for me…it's ultimate message was amazing and amazingly well played. The Not So Good: The overly long, drawn out sub-stories and game descriptions left me nodding off at times, so thankful I listened to this rather than reading it. I probably couldn't have gotten through it otherwise. The Good: The nostalgic 80's references, everything from the movies, TV shows, music to the video games. I loved them all, well…all but Monty Python, because I'm never going to understand the appeal of that. The dynamic between the characters was exceptionally done also. Overall, a book with a sincere message about the reality of life, despite being played out almost entirely in a virtual reality, and how perseverance can help you achieve almost anything, especially with help from your friends. Book Cover~ It's kind of boring…it definitely hides the potential of the story. Narration~ ☆5☆ for Wil Wheaton, he was amazing with this content…my only complaint is maybe he lacked volume. Setting~ Inside the OASIS, mostly.